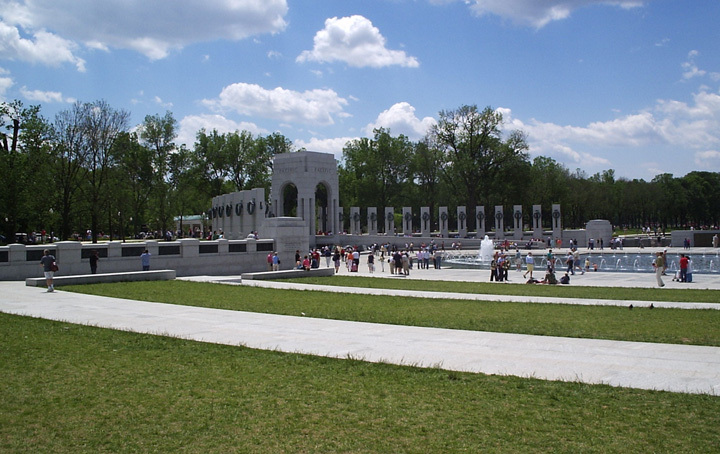 In May 2005, WW2DB contributor Bryan Hiatt visited the National Mall in Washington DC. 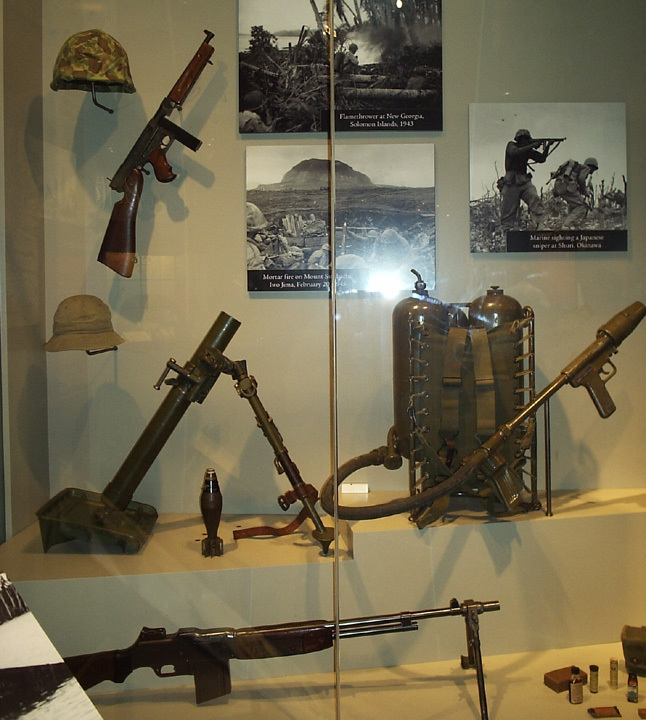 While there, the Maryland resident visited several places of interest, including the World War II Memorial and the American History Museum. Here’s his report. 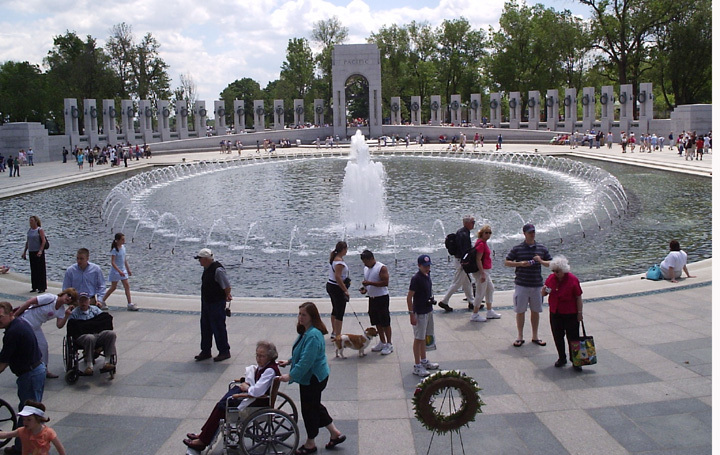 Since its April 2004 opening, the World War II Memorial has attracted thousands of visitors, among them veterans making their own personal and unique pilgrimages. 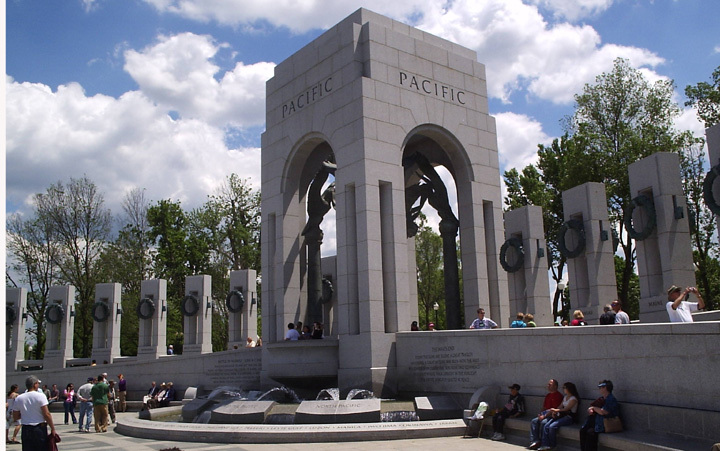 Unlike the Korean and Vietnam memorials that are both smaller in scope, the World War II Memorial seeks to represent the breadth of a world-wide conflict. While some have been critical of the design of the memorial, it is a fitting tribute to the sacrifices of a generation. 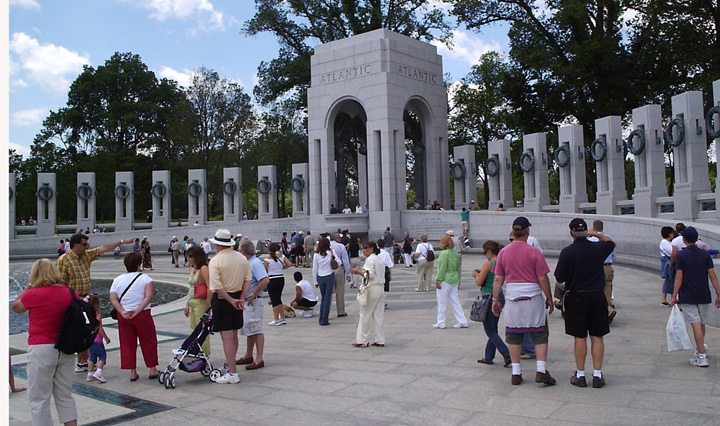 a commemorative area at the western side...[that] recognize[s] the sacrifice of America's WWII generation and the contribution of our allies. A field of 4,000 sculpted gold stars on the Freedom Wall commemorate the more than 400,000 Americans who gave their lives. 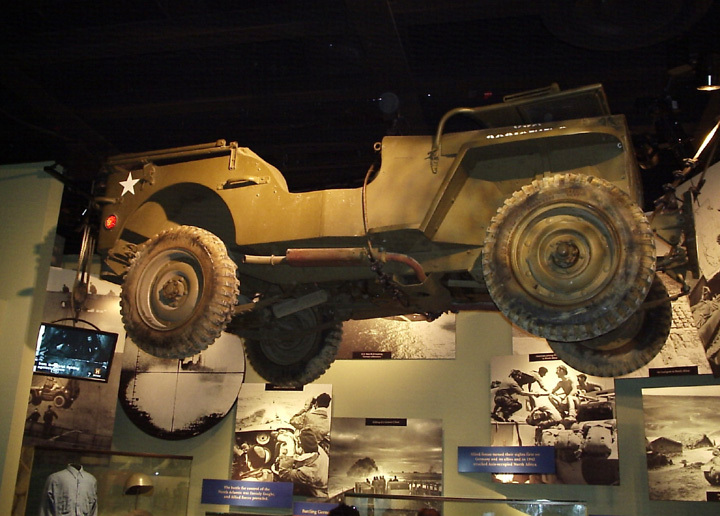 During WWII, the gold star was the symbol of family sacrifice (WW2 Memorial web site). There is also a rainbow pool and "waterworks." Approaching the memorial from Constitution Ave, I first saw the Pacific tower to the left and the bas-reliefs in the foreground. 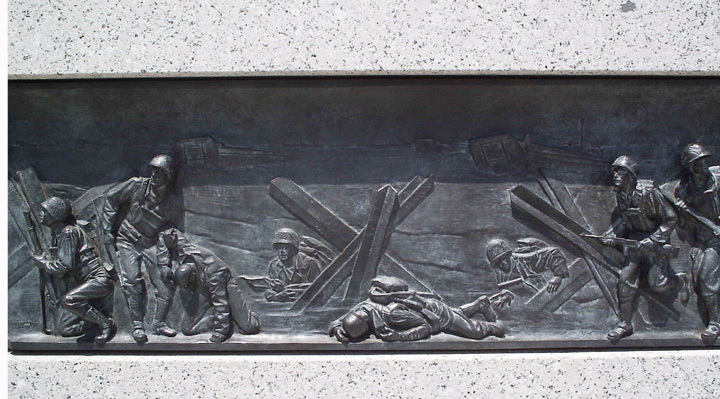 The reliefs, according to the memorial's web site, are set "into the balustrades of the north and south ceremonial entrance walls. 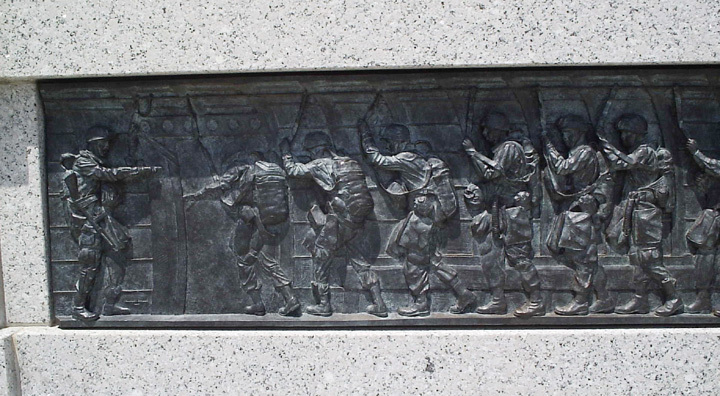 The bas-reliefs consist of 24 separate panels. The 12 on the north depict the Atlantic front; the 12 on the south depict the Pacific front." 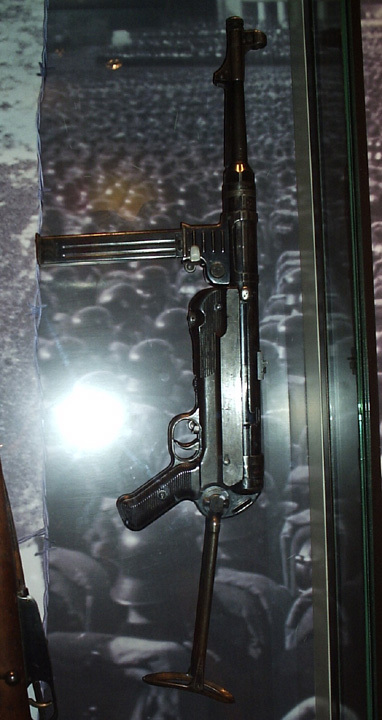 To me these were especially memorable, as they were based on historic photos. I've provided the complete list of the reliefs below. Entering the memorial, and looking toward the Atlantic pavilion, I joined a fairly sizeable crowd. The people in this photo help to measure the scale of the memorial. Among this group, there were many veterans, among them a 1st Infantry Division man and several Navy men, all identified by their baseball-style hats and pins. Moving up the walkway to the right (and inside the Atlantic pavilion), visitors enjoyed a raised view of the pool and Pacific pavilion. Exiting down the ramp, I made my way over the Pacific pavilion, passing the commemorative area (see picture called Freedom Wall on the memorial's web site). Each pavilion has a set of inscriptions and a small pool with fountains at its base. 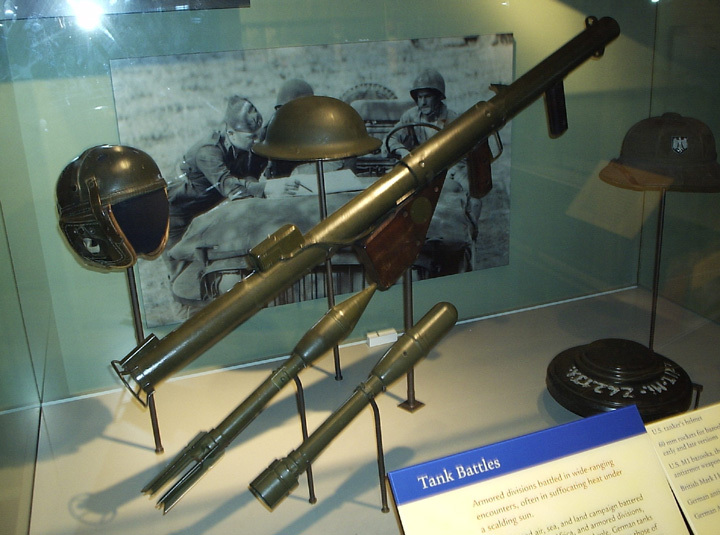 There you'll find a listing of major battles as well. While these are difficult to see here (at the bottom of the photo, carved into the raised "half circle"), these are reminders of nature of this global conflict. As of May 2005, visitors should be aware that a huge construction project is ongoing at the Washington Monument, just adjacent to the World War II Memorial. Be prepared to walk around the construction project to get to the memorial. 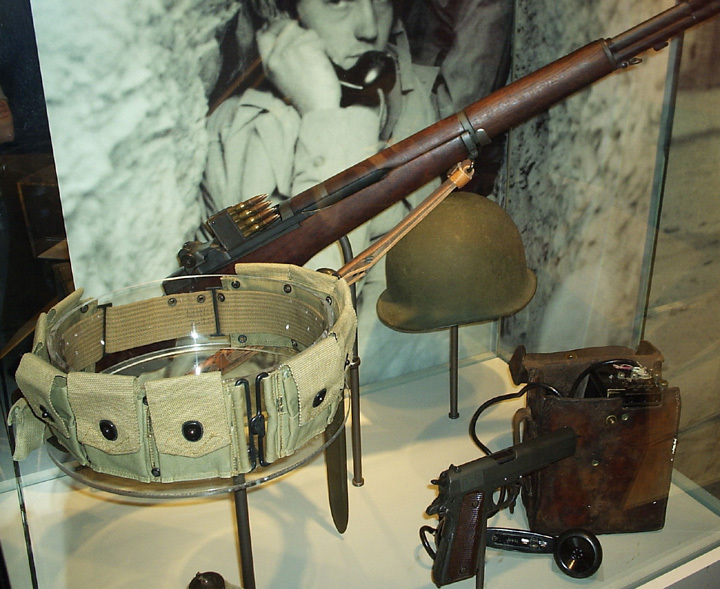 After seeing the World War II Memorial, we hoofed it back to the American History Museum to see the Americans at War exhibit (WW2 wing). I was a bit pressed for time, but managed to snap a few pictures (forgive the various lens flairs). Thanks to the Editor, Peter Chen, for making this submission possible. 2 Jan 1942 James Doolittle was promoted to the rank of lieutenant colonel in the US Army for the task of planning an air raid against Japan. Question: We'd like to take my Dad, Mike, 85 yrs. old and a WWII Navy vet to Washington DC this summer before his health declines. He hasn't been there since the war. He can walk, but not so far, so we'd need special parking. Are there any vet organizations that can help us plan the trip? We don't need financial help. Just advice. THANKS!